(annoyed) I wonder what is going to happen during this Passover week. Jairus, you should know all about it. It's this fellow from your region. That Galilean… Jesus. (sarcastic) He seems to draw a crowd where ever he goes. Doesn't he? This is serious my friend. Jerusalem isn't Galilee. Many on the council are tired of all his kind of trouble. And if he comes to Jerusalem, they fear for the security of our nation. No one wants Rome to notice this "Son of David", if you know what I mean. Reuben, you shouldn't get so upset. Can't you see God is at work? I can see a trouble-maker at work. That's what I call someone who upsets the workings of the temple and threatens our way of life. You mean driving the money-changers out of the temple courts. I was glad to see them go. And have you heard about the miracles? Be careful what you say my friend. This Jesus has gone too far. I'd hate to see your reputation hurt by thoughtless words. (running left to right calling out) Hosanna to the son of David. Walla: Chanting "Hosanna" Hosanna to the Son of David. Blessed is He who comes in the name of the Lord. Hosanna in the highest. I don't know. (calling out) Boy! Yes you. Why are you running around and shouting "Hosanna to the Son of David?" Jesus, the prophet from Galilee is coming. He's coming up the hill. You'll see him soon. He's riding a donkey. Do you hear that? Jesus is coming. And … who would let their children run in the streets shouting things like that? 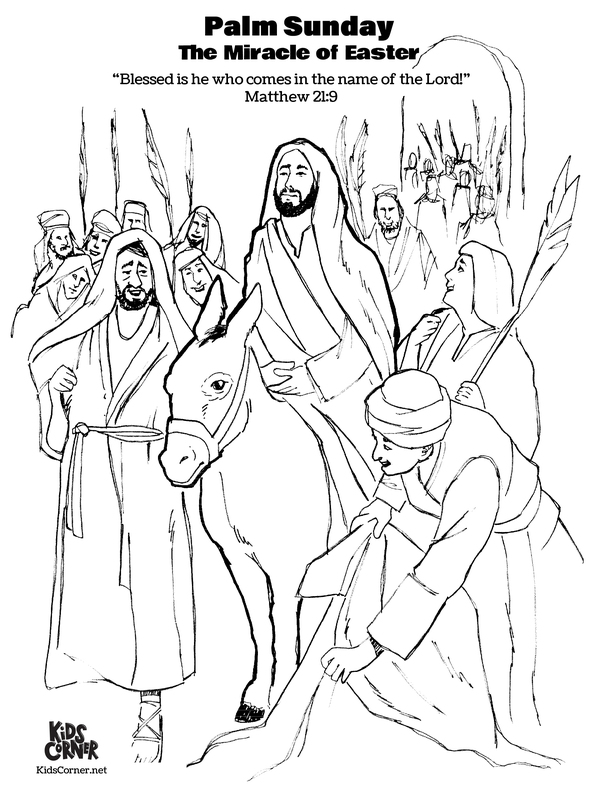 (running past) Hosanna to the son of David…Hosanna! Oh, Daddy. I didn't see you. Shallom Rabbi. That's alright my dear. Run along with your friends. Jarius, consider yourself fully warned. Supporting Jesus isn't child's play. Later that week Jesus is arrested and brought to trial before Pilate the Roman governor. Here comes Pilate. Now we'll finally get rid of Jesus. I find no just cause to execute Jesus. I will have him flogged and released. Release Barabbas. We want Barabbas. Away with this man. Bring out Barabbas. You would want a murderer instead of Jesus? Walla: We have no king but Caesar! Take him away! Crucify Him! Very well then. Jesus will be crucified. Guards, take him away.